I have listened intently to your commentary on LBC this weekend concerning the direction of UKIP. As somebody who has always been a big fan of yours I believe that your intentions are genuine but, on this occasion, your conclusions are incorrect. Which brings us on to your concern about the risk of violence at the event which could negatively impact on the Brexit campaign. You stated that the involvement of Tommy Robinson will attract thugs who will carry out acts of violence and that previous events that he has been involved in have seen arrests and Police Horses attacked. 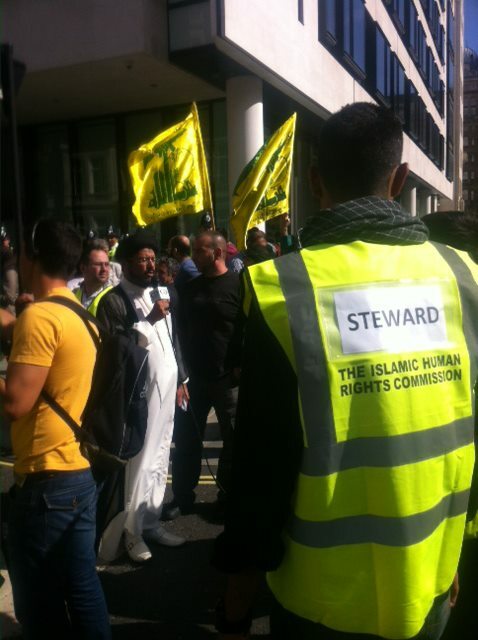 As somebody who has been active in street politics since 2010 with a number of groups, I have indeed seen some unpleasant scenes at events – but these are invariably triggered and mainly perpetrated by the regressive left, most notably the likes of AntiFA and the UAF. Take, for example, two marches by The Football Lads Alliance. 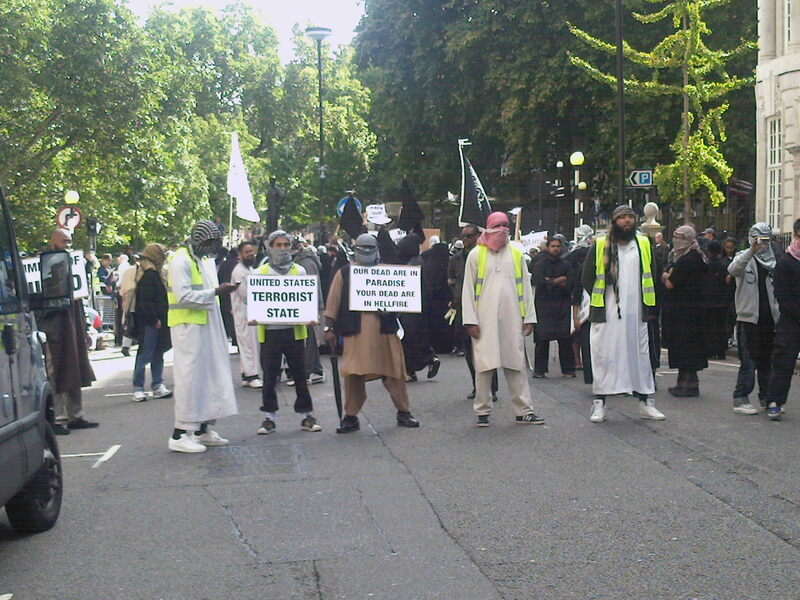 In 2017, seventy thousand turned out on the streets of London to protest against extremism, grooming gangs and the treatment of our armed forces veterans. There were people of all backgrounds involved, including a large veterans contingent. 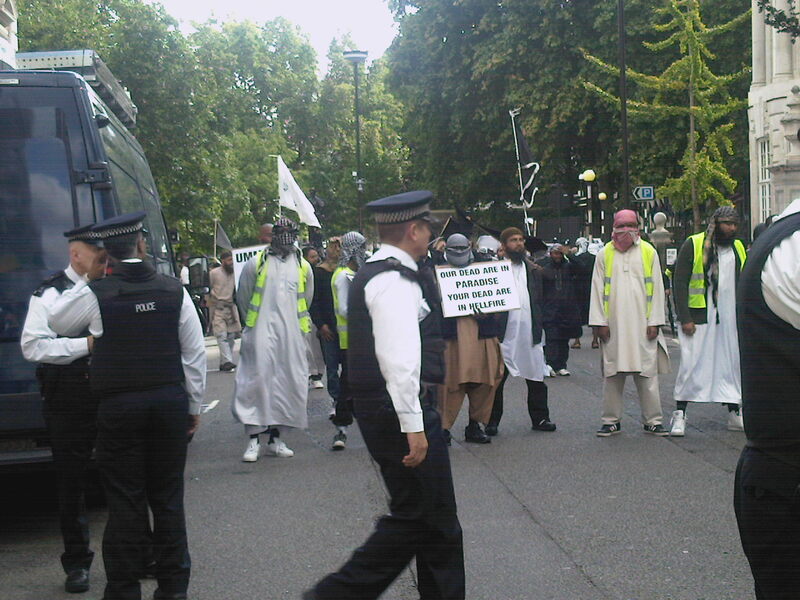 With a very small number on the counter demonstration from ‘Stand up to Racism’, there was not one arrest. Inspired by an excellent original article by American Judge Anna von Reitz observing events in America. 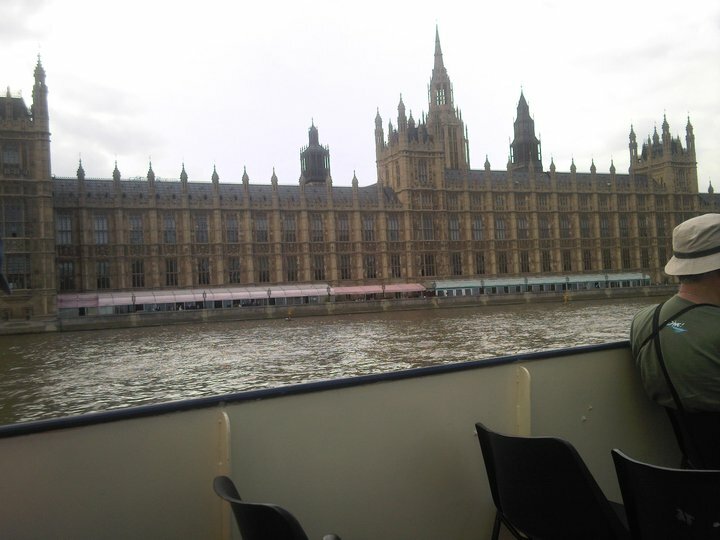 You can see why Parliament acts as it does. From their perspective they are a permanent ruling class London club with members that change now and again. It is the rest of the country, us, you and me, the serfs who are responsible – we are the cause and the solution to the Parliament problem. It is us, we have forgotten who we are and what our powers are and what powers we delegated to Parliament and how we can also take back any power delegated to them. This also applies to the councils, and the Monarch – the Monarch represents people who represent Monarch. As Nigel Farage rightly pointed out, those who wish to keep us in the EU have been quick off the mark and are already getting increased airtime on TV and in the columns of the national newspapers. Richard Branson has been very vocal about our need to remain a part of the superstate, even suggesting that we need to re look at joining the Euro currency which has brought so much misery to the peoples of Europe, most notably Greece – Interestingly enough, he lives in the Caribbean and recently moved his Virgin headquarters to non-EU Switzerland! 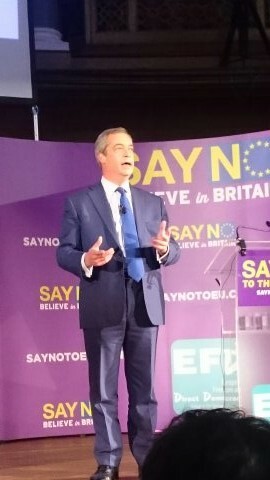 Some of the media criticised Nigel for not calling questioners by their first name! Personally, I don’t like politicians calling questioners they don’t know by their first name; in my view it’s condescending. When I was canvassing in WYSE I addressed the public (as did other UKIP activists) as Sir or Madam. It might be old fashioned I accept. Clegg was very well prepared as you’d expect from a machine politician (with the civil service behind him), however I thought he was evasive & as the debate wore on I increasingly found him to be condescending, patronising and deceitful. It was Nigel’s first such debate (unlike Clegg) and in that context he did well. I thought his opening line about the state of the EU and why we wouldn’t join it today, knowing what we know today was telling. Nigel did a good job to deconstruct Clegg’s jobs scaremongering. If we were to believe Clegg’s job loss claim then it follows that as the EU sells more to us than vice versa then 4>5 million jobs are at risk in the EU if we leave. It’s codswallop; the UK would continue to trade with the EU just like the rest of world does (and most of them don’t need to be a member of a club that aspires to be a superstate). Also, most of the companies who claim that they’d leave the UK if we left the EU said the same thing when we didn’t join the Euro and they’re still here. Funny that! The EU kowtows to big business & crony capitalism, making it difficult & expensive for SME’s to compete. The claim by Clegg that the UK wouldn’t be able to stand on its own outside of the EU is utter tosh. English is the universal business language, The City is at the heart of global finance, we are on GMT 0 which means we straddle the world as the day unfolds East to West. Trading with the World is in our blood and we’re very good at it (we used to do most of it!). If it’s good enough for the Scots to have a referendum on them becoming an independent nation why isn’t it good enough for the UK to decide whether it wants to remain in the EU? Only UKIP can be trusted to give us a guaranteed and honestly framed referendum choice. Cameron’s promise is hollow (he reneged last time – fool me once shame on you, fool me twice shame on me). Gay marriage. Don’t forget than none of the main parties sought a mandate from the people to make this major change to along standing institution; it was driven by EU legislation & Cameron wanting to look good with the metropolitan elite. If government is going to start making/changing laws without having sought approval via their election manifesto then we’re on a slippery slope. However, we’re already having our laws passed or changed by the EU without our consent. BTW Clegg’s claim that more powers can’t be given to the EU without Parliament’s consent is smoke & mirrors. Over the last forty years we’ve already given away significant powers and current EU treaties allow the EU to grab more power without our Parliament having the right to say no – horse, gate, bolted anyone!! I thought it was interesting that most of the media gave Clegg the edge but the general public made Nigel the winner by a large margin. With the end of transitional controls on Romania and Bulgaria on 1st January and the subsequent unrestricted opening of our borders to their citizens under EU regulations, the subject of mass, uncontrolled immigration has emerged as one of the main topics that people in this country are concerned about. UKIP has been raising the subject for some time now, with our stance being purely about control of numbers to stop the massive strains being put on inadequate infrastructure in this country. This has led to numerous ‘smears’ from the old establishment political parties, from Cameron’s ‘closet racists’ to Clegg’s ‘unpatriotic isolationists’. More recently, we have been subject to a casual smear in the Guardian by local Labour MP, John McDonnell. For an MP in a working class area to use this kind of terminology is worrying, as it is predominantly the working class who are affected by the huge numbers currently arriving in England. We have over 9000 people on the affordable housing waiting list in Hillingdon, some of whom no doubt he will be trying to assist to gain a place to live. With this in mind, how can loading yet more people in to the area when we are short of housing already be a sensible move? This is not bigotry, it is pure common sense – If your bath was full, you would not leave the taps running! It also fuels the ‘housing bubble’ , with lack of supply pushing house prices up and having a huge knock on effect in private rental prices. This is further distorted where the council have to get involved to house a certain number of ‘Category A on need’ clients to hit targets and no longer have the stock to do so – Private landlords then charge premium rates knowing they have the upper hand in negotiations, with the council having to use your tax money in the shape of housing benefits to enable those category A clients to pay their rent. With net migration running at nearly 200,000 per year, (With over 500,000 actually coming to the UK in 2013 according to the Office for National Statistics), we simply don’t have the housing available to be sustainable. Labour recently put a leaflet through my door stating that they would get at least 200,000 houses built per year – In government between 1997 and 2010, they built an average of 24,299 per year (Source – Department for Communities and Local Government). Even if they do manage to build 200,00 a year, it won’t dent the lists (Presuming the prices are reasonable) – It also begs the question as to where the money will come from? This situation has also seen the rise of the ‘beds in sheds’ phenomenon, with many immigrants having no alternative but to live in substandard and sometimes dangerous conditions. Most would have been better off in their own countries, but open door migration policies have allowed gangmasters to exploit them with promises of a better life in England. A friend of mine and local resident presented you with a dossier on this in your constituency 18 months ago as reported by The Gazette, yet the situation shows no sign of resolution. The only sensible step is to stem the flood of people coming in whilst the current shortages are addressed. We have over 20% of our 18-25 year olds out of work, yet we have more unskilled workers coming in to this country to compete with them in the jobs that often give youngsters their first foot up the ladder. David Cameron’s answer has been to defend this by stating that our youngsters are ‘lacking in aspiration’ and ‘not up to the job’ – That is real bigotry, Mr McDonnell, not a principled objection to more oversupply in the unskilled jobs market. It would appear that Comrade Crow agrees with us about the exploitation of foreign workers and the effects on his members – Does that make him a bigot? 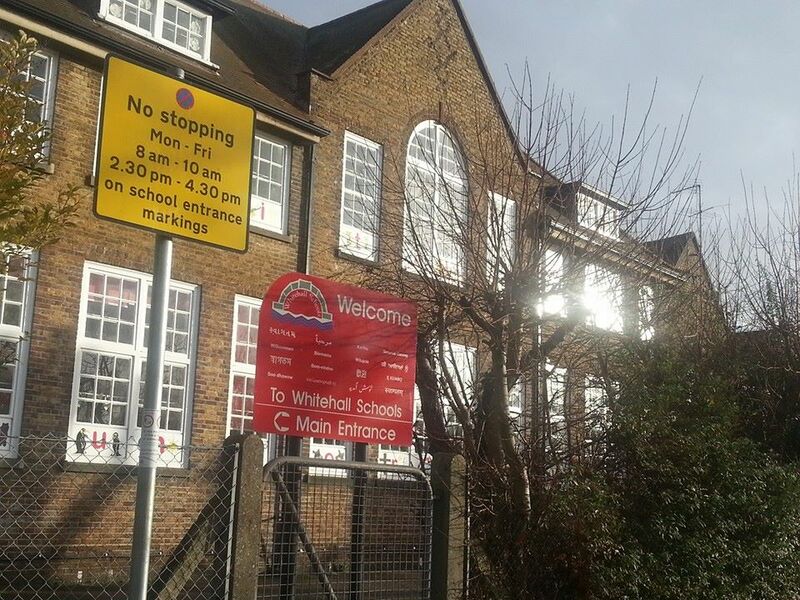 Whilst I am in full agreement that the school should be built on a brownfield site, the underlying reason why there are new schools needed at all is because of the massive surge in immigration and the subsequent rise in birth rate that drives the demand. In 2010, council leader Ray Puddifoot admitted this in the Gazette and said ‘it falls to us’ to provide the new schools. The Office for National Statistics has released figures in the last week that show 26% of births in the UK are now to foreign born mothers. Moreover, birth rates amongst certain migrant groups are significantly higher than those of British born women from all backgrounds. In 2011, the average for British born mothers was 1.84 children – The average for those from Afghanistan was 4.25 whilst to Somali born mothers it was 4.19. The Somali figure is particularly relevant in Hillingdon because we have a significant Somali community here, especially in your constituency. Polish mothers had the highest overall numbers of children born to any ethnic group, with 20,495 being born in 2011 – Again, very relevant in Hillingdon because of the large numbers of Poles living here. It is also a concern that many will not have English as a first language, thus disadvantaging them in the classroom and requiring additional support in terms of specialist teachers. This has a knock on effect with all children’s education in these schools and will potentially hold them back when they enter the world of work – Perhaps to be confronted by another wave of unskilled migrant workers, perpetuating the cycle? There are many other reasons why uncontrolled immigration is harming both our communities and the economy – Destruction of green belt for housing, increased crime through lack of border checks and strain on the NHS to name just a few. Properly controlled, immigration can be beneficial to our country as has been seen in the past, but the last 10-15 years is completely unsustainable based on numbers as I have pointed out in this piece. I would be happy to debate with John McDonnell on this if he so chooses – Indeed, his Guardian piece claims that he would welcome more debate outside of the ‘sterile’ atmosphere of the House of Commons. 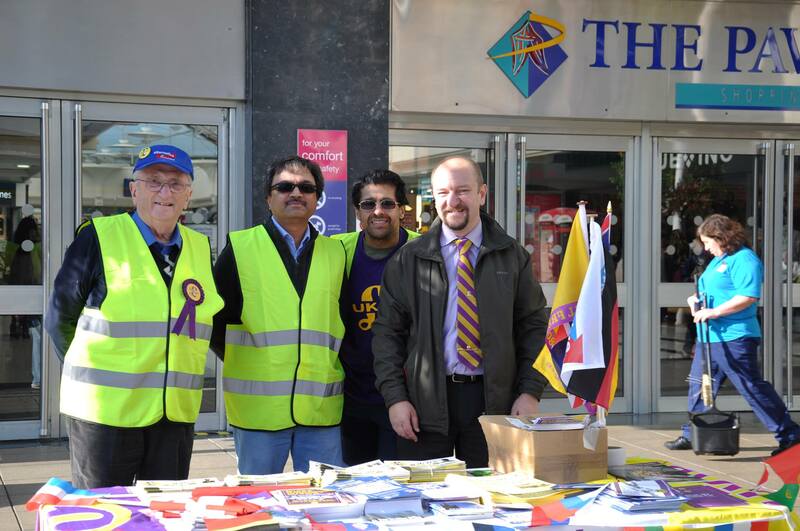 UKIP will be running a series of free public meetings across Hillingdon in the near future featuring a number of issues affecting our borough – Immigration will be one of the issues discussed no doubt, along with the EU, economy, law and order, HS2 and The Third Runway at Heathrow amongst others. Rather than asking people to travel to Westminster for a ‘People’s Parliament’, UKIP are made up of ordinary people from all sections of our community who wish to discuss and debate the real issues with real local residents where they live. 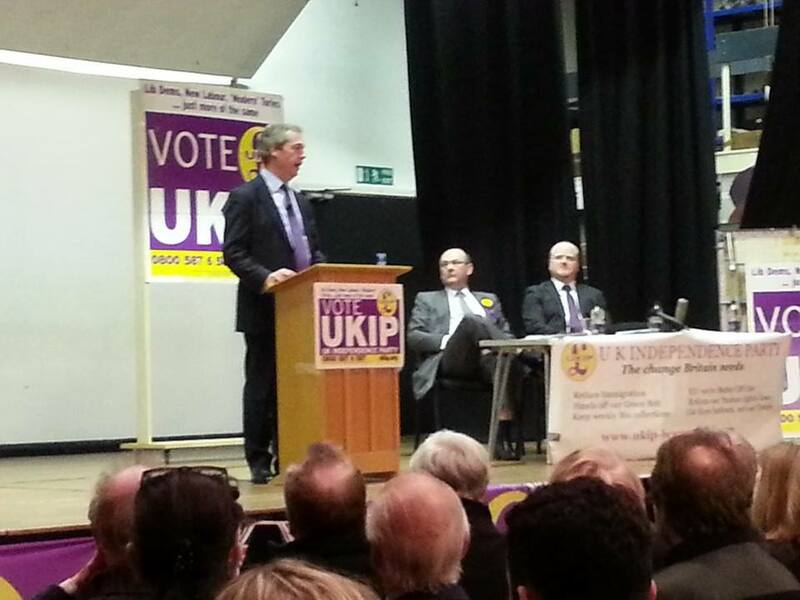 A recent meeting in neighbouring South Bucks saw over 400 people turn out to see party leader Nigel Farage MEP in Beaconsfield (Above), where a show of hands saw less than a quarter of the audience as UKIP members and a lively Q&A was had. We hope to see you soon for a grown up debate in similar fashion. This has to be one of my all time favourite quotes from an iconic historical figure – Over the last 15 years it could pretty much sum up the rise of UKIP and also the realisation amongst the English people that those who claim to represent us at Westminster live in their own little world and only come out to talk to us at election time to keep their place on the gravy train. Over the course of the last few months, the UKIP ‘surge’ has shown no signs of dying down despite the lack of major elections to fuel the anti-government ‘protest vote’ that the old establishment parties would have you believe is behind the healthy position of the party in the polls. The reality is that the UKIP stance on such concerns as mass uncontrolled immigration, rising energy prices, the EU, education and law & order fit in with the concerns of the public, a public who have been ignored as an inconvenience by those in power who believe that they know better. The Gandhi scenario has been played out in England since Blair and ‘New Labour’ came to power in the late nineties – The people were ignored in the first rushes of ‘Cool Brittania’, with UKIP under the radar before our first MEP’s were elected on an anti-EU ticket in 1999. Then came the ‘ridicule’ era – Any member of the public was branded as out of touch and a ‘Little Englander’ if they opposed the EU and the opening of our borders to all comers, with UKIP branded ‘gadflies, loonies and closet racists’ by the old Lib-Lab-Con triumvirate for expressing views that were in line with a large section of our society. When the ridicule didn’t work, the public paid the price for their scepticism about the benefits of mass uncontrolled immigration by being attacked as ‘racists’ and ‘xenophobes’ by the government and compliant media – Who can forget the moment during the 2010 general election when Rochdale resident Gillian Duffy expressed her concerns to then PM Gordon Brown about mass immigration to be branded a ‘bigoted woman’ in an unguarded moment over a still live microphone? With UKIP raising the immigration issue, the establishment turned their attacks on the only major political party campaigning on the real problems of lack of infrastructure, housing shortages and overloading of the NHS – But as the smears mount, so does party popularity as many realise that our critics are playing the man and not the ball. Party leader Nigel Farage (left) has led from the front, and as such has had to deal with some fierce attacks as he has been singled out for special attention. The BBC Question Time of 7th November saw a particularly spiteful attack from government minister Anna Soubry, assisted by Labour’s Emily Thornberry. Despite Ms Soubry showing her lack of knowledge of her own government brief (a defence minister who doesn’t know that Navy support ships are currently being built in Korea whilst shipyards in Portsmouth are being closed down), she attacked UKIP as being a party to ‘scaremonger’ and ‘turn to the stranger and blame them’ during the economic downturn. This attack was even more ridiculous when you consider that just weeks previously, her party in government had put ad vans on the streets of London telling illegal immigrants to ‘go home or face arrest’ and sent text messages to people asking them if they should be in the country! ‘Operation Vaken’, as this was christened, cost the taxpayer thousands and resulted in just 11 people turning themselves in according to a report in The Metro newspaper on 1st November. Ms Soubry faced a barrage of criticism from the public after this appearance, and further showed the lack of coherent answers to the questions posed when making a childish comment about Mr Farage’s sexual preferences on The Marr Show last week in an attempt to be funny. The week following the Question Time episode , the inappropriately named ‘Hope not Hate’ organisation attacked UKIP Thurrock for laying wreaths to the fallen on Remembrance Sunday with a party logo on them. Whilst my personal opinion is that no political logo’s are appropriate from any party on this day, The Royal British Legion supplied them and were happy to do so. Interestingly enough, the other parties have been placing wreaths with their logo’s on supplied from the same source for years and HNH have said nothing – Considering the support from politicians in certain of the old 3 parties for organisations that have killed both English civilians and British servicemen on home soil, their silence in the preceding years is deafening. 1 – The video was edited to take out the part where Ms Ayling was discussing ‘illegal immigrants’ – It is actually government policy as could be seen from the aforementioned vans for illegal immigrants to be removed, so she was stating that those who break the law should be sent back to their country of origin – Not unreasonable? 2 – The video was recorded in 2008 – Ms Ayling was a member of the Conservatives at the time, and subsequently stood as a candidate for MP in the 2010 general election. If this was such a big story, why was it not broken when she was with her previous party? 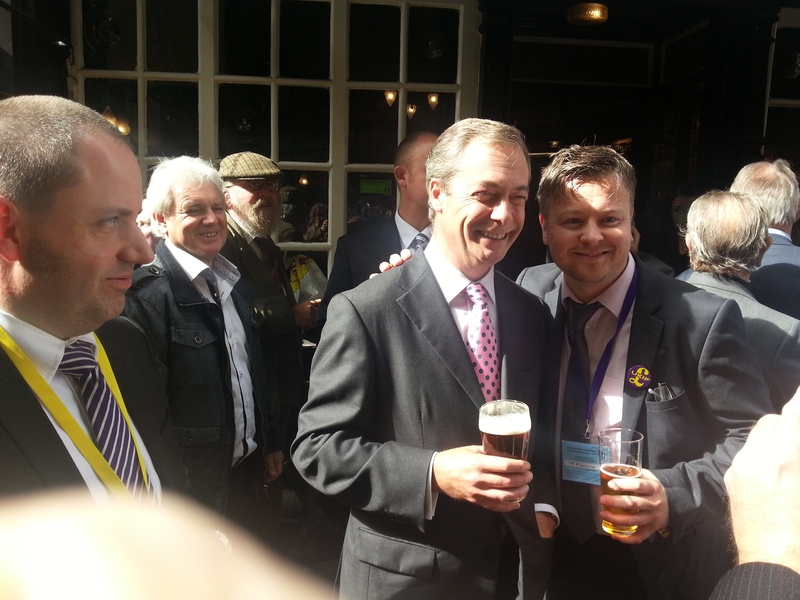 3 – She was referred to as a ‘Farage Filly’ and key ally of the UKIP party leader based on having a photo taken at conference – Many of the UKIP council candidates in 2013 had their photo’s taken with Mr Farage as part of the campaigning, that doesn’t make them a ‘key ally’. If a Labour council candidate is pictured shaking hands with Ed Miliband, does that make them a ‘key ally’ of the Labour leader? Whilst these concerted attacks have been carried out, the hypocrisy from the establishment parties and their allied organisations has been astounding. With the opening of UK borders to all Romanian and Bulgarian citizens on 1st January, Prime Minister David Cameron has tried to rush through legislation at the eleventh hour to restrict benefits to citizens of these countries for 3 months after entry. He knows full well that this will be challenged by the EU as a breach of the rules – Indeed, the UK is currently being taken to court by the EU for not giving equal benefits to European migrants in relation to our own citizens. He also knows that we can’t control our own borders whilst we are a member of the European Union, but is trying to show a tough side to head off the threat at the ballot box posed by UKIP – Remember his triumphant return from Brussels at the end of 2012 where he claimed to have stopped an increase in the money paid by our taxpayers in to EU coffers? If you check the figures, a year down the line and we pay more than ever, just via a slightly different route. It is also interesting to note that Bulgaria was sponsored as a full member state of the EU by none other than Conservative MEP’s led by Geoffrey Van Orden (Or Uncle Bulgaria, as UKIP MEP’s refer to him) – So you could say that the situation we find ourselves in with open borders to Bulgaria were actually triggered by the people who claim to be trying to defuse the situation! Of course, they have been aware of the relaxation of border controls since coming in to power in 2010 – So why such a late response? It couldn’t have anything to do with trying to head off UKIP at the polls, surely? Then we have the reaction of other leading party figures to newspaper revelations of disharmony in communities caused by mass, uncontrolled immigration. Former Labour Home secretary and Sheffield MP David Blunkett has predicted riots in his constituency unless Roma migrants integrate in to local society, with fellow Sheffield MP and Lib-Dem deputy PM Nick Clegg chiming in and saying that the Roma ‘need to play by the rules’ and have ‘a lack of respect’. Labour grandee Jack Straw has also chipped in to state that Labour ‘made mistakes’ on immigration when he was a member of the government. Could you imagine the storms of protest from the establishment if Nigel Farage had said something similar? Yet two former Labour cabinet ministers, who oversaw the mass immigration that has led to the issues they talk of, now make comments that go far further than UKIP’s principled stand against open borders which is based around numbers and infrastructure pressure, not nationality. Then we had the spectacle of David Cameron at the end of last year talking down our youngsters in an attempt to justify the EU migration that he is now so drastically backpedalling on. During an Apprentice event on 29th October, reported on by The Daily Express, he spoke of factories being half full of Poles, Latvians and Lithuanians because ‘our kids are not up to it’. He followed on in this vein on 13th November, when he was reported by The Telegraph as having stated that young working class people have ‘low aspirations’. This kind of outrageous pigeon holing of English youth would be classed as racist if levelled against any other ethnic grouping in our country – Yet Cameron has had the nerve to refer to UKIP members in the past as ‘closet racists’. For a Prime Minister to talk down a whole generation of our youth who have been betrayed and denied a proper education by both his government and the previous Labour one is an abomination – To use that betrayal then as an excuse for recruitment of low skilled factory workers from abroad whilst those same youngsters are subjected to zero hours contracts or unemployment is a dereliction of duty on an epic scale. With a definite lack of policy issues to attack UKIP on, the establishment parties have now turned to ‘smear by association’. Following on from the 7th December headline, Vicky Ayling was further attacked by the Mail who then claimed that she had a background with the ‘far right’ National Front. This line of attack was based on her attending some meetings when she was at university and studying law as part of a thesis she was writing – A thesis that meant she attended various meetings across the political spectrum. Yes, Nick Holt was a former BNP member and candidate who was apparently asked to stand by the Conservatives for Darwen Town Council in 2009 – Not someone who attended a meeting as a student for research, a full blown BNP member who had stood for them before in elections. But it is not just the Tories who have recruited from the ranks of the BNP. 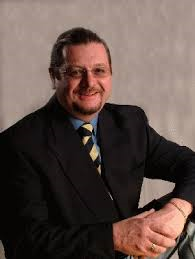 Meet Trevor Maxfield (Pictured) – He is the executive member for leisure and culture on Darwen council and is a sitting Labour councillor. Yet he was previously an organiser and member of the BNP, and also joined the white supremacist ‘England First’ party before joining Labour. So there you have it – Attend a meeting as a student thirty years ago if you are in UKIP and it is a press headline, but be an active member of the BNP and then join the establishment and your sins are absolved and you have seen the error of your ways. 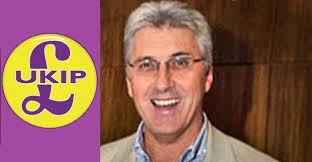 Funnily enough, it would be impossible for either Mr Holt or Mr Maxfield to join UKIP as former BNP members are barred from the party – Not something that the establishment like you to know as it doesn’t fit their narrative. The Telegraph runs a popular political gossip column called Mandrake – In late November, I received a call from a UKIP colleague to tell me that there was a story about me in that day’s edition entitled, “How Nigel Farage’s UKIP chairman marched with the English Defence League’. This came as a bit of a surprise, as I had not been contacted by the press for comment before they ran the story – The Guardian had been on to this months before, and after talking with me didn’t bother to run what they called a ‘non-story’. 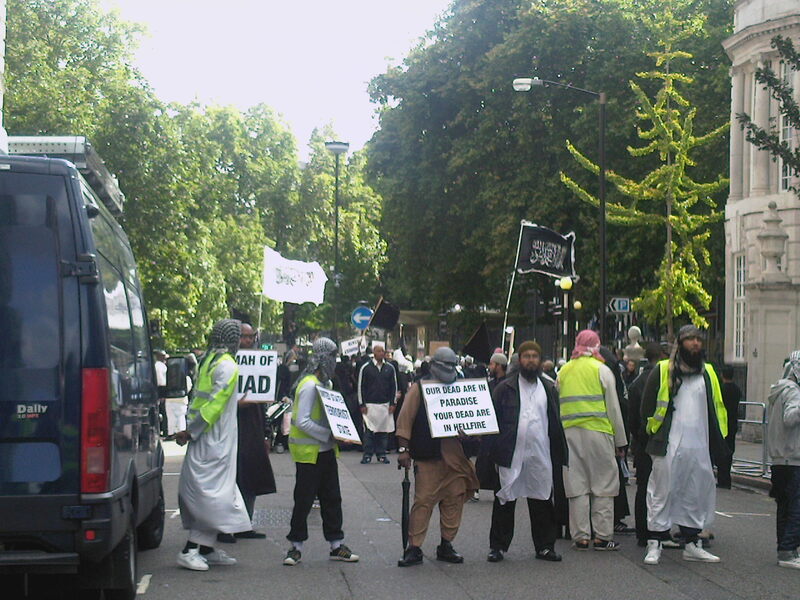 The photograph that Mr Walker alludes to was taken outside the US Embassy in Grosvenor Square on the 10th anniversary of 9/11, not in East London. Nor was there a march – It was a remembrance ceremony that was attended by many high profile politicians, members of the Royal Family and the families of the dead. 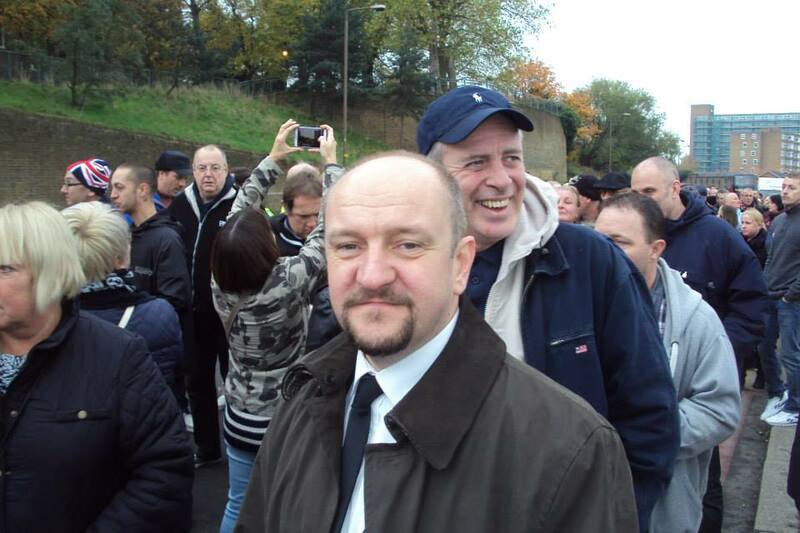 So Mr Walker – Are you suggesting that this EDL march I was photographed on was also attended by Prince Charles and David Cameron? 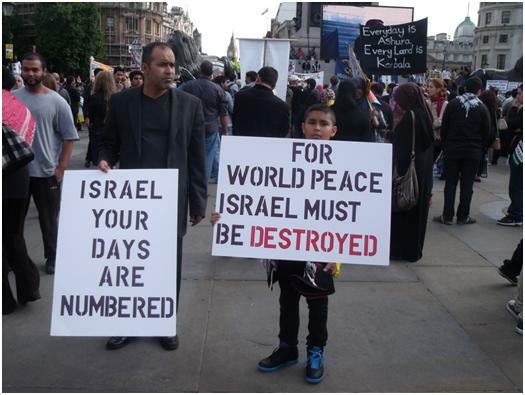 Again, it also begs the question as to why the press give coverage to, and completely misrepresent, a story about a minor UKIP official but have ignored the presence of Labour MP Jeremy Corbyn at the annual Al Quds parade in London which is supported by The Iranian Government and features homophobia, anti-Semitism and calls for death to the West? How does this square with the calls for peace from the Labour MP, and why are the press and Police so shy of reporting real sectarian and racial hatred on the streets of our Capital city? Indeed, I have put official complaints in about breaches of the public order act committed on these marches for the last 3 years to The Metropolitan Police, and have written to my local MP and Mr Corbyn’s party leader, Ed Miliband, about it. My only reply has been an email from the Police saying they are sorry I have been a victim of crime! I mentioned earlier the inappropriately named ‘Hope Not Hate’ organisation, a group that claims to fight racism and extremism. They have recently set up a special section on their website entitled ‘Purple Rain’ to ‘put UKIP under the microscope’. It begs the question – Why? UKIP have proscribed membership to extremist groups, and have members from all differing backgrounds, races and religions in the party. Indeed, UKIP policies are based on a meritocracy where everybody is given equal chances in life and immigration is judged on a points system irrespective of where you are from – If they are really out to clamp down on discrimination, then the Lib-Lab-Con with their migration policies that discriminate against those from outside of the EU would be a good place to start, surely? 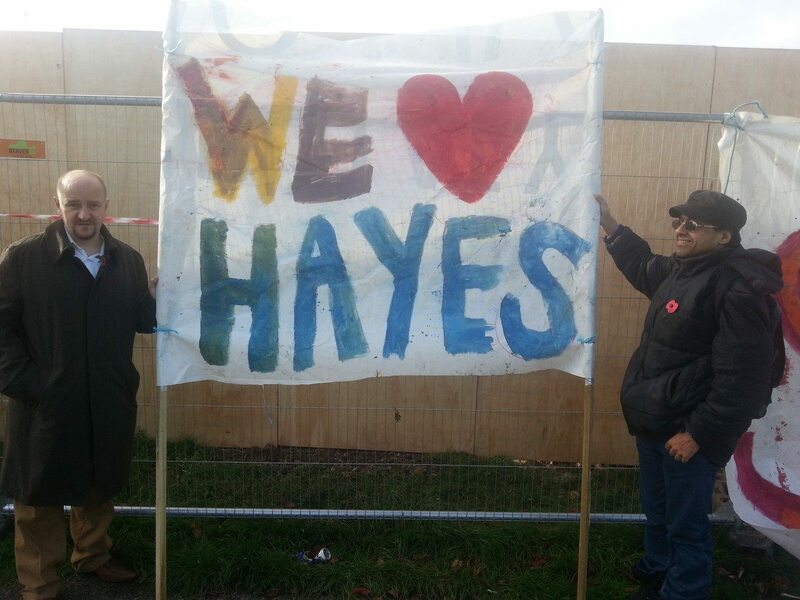 A dig around on their site may give some clues when you look at organisations that back and partially fund Hope Not Hate – Trade Union leaders such as Dave Prentis of Unison, Paul Kenny of The GMB and Christine Blower of the NUT all proclaim their support. With Labour enjoying the input and funding of the Trade Unions, and UKIP making such inroads in to their core voter base that has been taken for granted for years, in my opinion it wouldn’t take Hercule Poirot to make some sort of connection between Hope Not Hate’s new found interest in UKIP and their paymasters from the ranks of the TUC and the political establishment. On the other hand, one of Hope Not Hate’s main activists and reporters is a gentleman by the name of Matthew Collins (pictured above). Collins is a former member of the BNP and National Front who has boasted of how many members of the Asian community he used to rough up. But again, of course, joining the establishment (In this case the ‘anti-fascist left’) absolves you of all crimes and allows you to take the moral high ground, even if you are still a thug – Just of a different cloth. 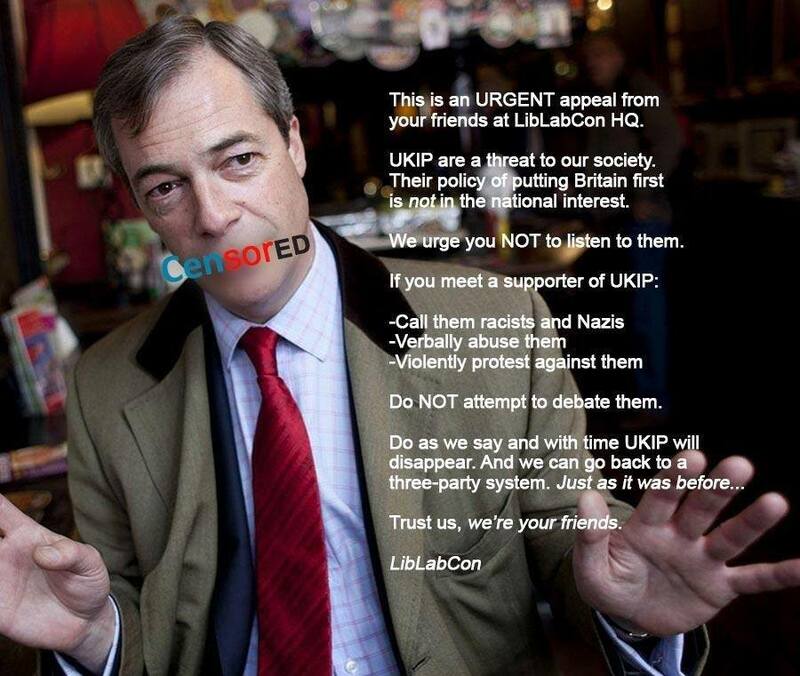 With the EU elections and a large swathe of council elections due this year, followed by a general election in 2015, the continuing popularity of UKIP is unnerving the old tired parties in England and their overlords in Brussels. This is just the start of a concerted ‘dirty tricks’ campaign as career politicians and bureaucrats try to cling desperately to their positions of power and privilege, consumed by a fear of change and real choice for the electorate. I fully expect further ‘revelations’ and ‘scandals’ as the count down to May continues – The party must stand firm and trust in the people to see through the lies and continue to back us. The alternative of more EU control and the continuing dynasty of Lib-Lab-Con politics is too awful to contemplate. We are now at stage 3 of the Gandhi quote I started this piece with – Come election time, I pray that stage 4 prevails for all of the people of England. UKIP Party leader Nigel Farage appeared on BBC Question Time on Thursday 17th January, which on that particular night was being filmed in Lincoln. 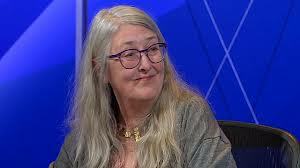 On the panel with Nigel was Cambridge University academic and TV presenter Mary Beard, most famous for her BBC 2 show about the Romans. Ms Beard put forward her view that ‘public services can cope’ with a further influx of migrants from Eastern Europe and that there are ‘myths’ surrounding immigration in her counter argument to the personal experiences of Ms Bull. Living in an area that has seen a large amount of immigration over the last thirty years, I posted a link to an article from a national newspaper the following day on my political Facebook page and stated that “Mary Beard is typical of the establishment,preferring statistics over eye witness accounts” – This automatically re-posts to my English Patriot Twitter Feed. To my surprise, Ms Beard actually picked up on this and all credit to her for mounting a defence to her point of view in a conversation spanning a few days on the social networking site. Unfortunately, Twitter is a very difficult medium to have a proper debate on what Mary herself calls a ‘very complicated issue’ with the limitation of 140 characters, so in this post I will outline why I think she is wrong both from statistics and personal experience. Before I start, I would like to retract the accusation that Ms Beard is typical of the establishment because unlike many she was prepared to debate her point with good grace and in the face of some determined resistance from myself to her line of logic. She has also received some pretty strong abuse over it from some quarters – Whilst I disagree with her point of view, personal insults do nobody any favours and the mass immigration debate needs to be had without unnecessary unpleasantness. After all, how many of us who have laid down the argument against from a logical point of view in terms of numbers and infrastructure capacity been abused as ‘racists’ over the last twenty years? I am a great believer in the ultimate truth of quoting statistics – The stat’s you get out are only as good as the information you put in. Ms Beard quoted from statistics put out by Boston Borough Council about how they could ‘cope’. Firstly, you have to ask yourself the following question – How many councils will admit that they can’t cope? In these days of increased media scrutiny, admitting that you can’t cope is tantamount to asking the electorate to give you a good kicking at the next election, especially if your council is made up of predominently the same party who are in power nationally. Now let’s look at some statistics from other organisations that would refute the argument that is being put forward. Firstly, there is a report that has come in from a body of the government’s own MP’s on the ‘Fresh Start’ Group in January which states that a quarter of the EU nationals living in the UK are not working. That is above the national average for UK born citizens from all backgrounds, and being EU nationals they are entitled to benefits from a system that our own government is trying to rein in. This flies in the face of Ms Beard’s assertion that the migrants in Lincolnshire are not a drain on the public purse unless they are bucking a national trend. Even if they are, then they are an isolated case in the overall picture. Then we have the following figures from the ONS (Office of National Statistics). Taken from 2009, a quarter of all births across the UK were to foreign born mothers – In Newham, East London, 75.7 % of births were accredited to this source. This puts an immense strain on the NHS and will ultimately fuel pressure on school places and then housing. In my own home borough of Hillingdon, the population has grown by 30,000 in ten years – More than three times the government’s own estimated growth figures. In the last two years, the number of people on the affordable housing waiting list has reached nearly nine thousand (The last printed council figure quoted in the Gazette in September 2011 was 7586) , whilst the council are now looking at building on green belt land to satisfy predicted demand for primary school places. 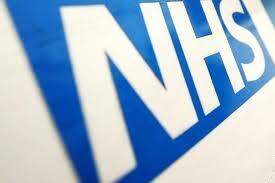 Our National Health Service has been put under tremendous pressure by the amount of migrants using it. Alongside the increase in usage of maternity services, £45,000 per day is spent on translation services as uncovered by a Freedom of Information request submitted by Tory MP Nick De Bois reported in the Express in July of last year. Taxpayers suffering from cancer in England have also been denied life saving drugs such as Abiroterone and Herceptin due to cost, yet the European Court of Human Rights has insisted that migrants should be treated for HIV/AIDS on the NHS – A move supported by the government as it will ‘Reduce the risk of Britons being infected’. I think better border controls are probably a less expensive way of stopping Britons becoming infected, but that is just my point of view. We have also seen in recent years the resurgence of diseases such as TB that had been successfully eradicated from our country in the seventies and eighties by innoculation programmes – Another direct result of uncontrolled immigration where health checks are not carried out due to non-existent border controls. Then we have the ridiculous situation where women from countries such as Ireland and Poland where abortion is banned can come to the UK to have the procedure carried out and then hop back on the plane leaving the NHS to pick up the tab. 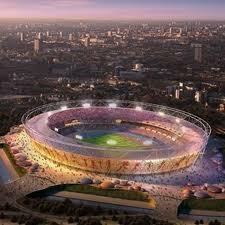 The Olympic Games in London last year was supposed to be a pick me up to the local economy in the face of austerity. Large amounts of public funding were put in to building the stadia and facilities to host the games, not least on the showpiece stadium in Stratford. Yet figures from The Olympic Delivery Agency showed that of over six thousand jobs on the construction of the main site, less than a thousand went to UK born construction workers. Moreover, much of the public money going in to pay wages was sent overseas to fund the families of the migrant workers rather than being spent in the local community, thus depriving the area of additional job creation. It is a pattern that has been repeated frequently in the last ten years, with migrant workers living five and six to a house sharing the bills and thus being able to easily undercut skilled tradesmen already here with mortgages to pay and families to keep. I have friends locally in trades including plumbing,plastering and electrical who tell me that they are earning less now than they were fifteen years ago whilst their overheads both in their working and personal lives have increased dramatically. But it is not just in the construction trade that this has happened. My friend Kevin spent thousands of pounds of his own money on passing the HGV class 1 qualification so he could drive large lorries. He is now one of just two English drivers left within his company as the management have employed far cheaper Eastern European drivers who have not had to go through the rigorous training that he did and can drive on our roads with a basic tractor license from their own countries. Kevin now gets the difficult jobs as his Polish colleagues are unable to manoeuvre the large vehicles around the tighter streets on his route, whilst overtime and pay rises are out of the question. Road safety is also secondary to the EU free movement of workers regulations in cases such as this. Something that also needs to be brought in to the equation and cannot be covered by statistics is the ‘black economy’, where cheap migrant labour is imported and the workers live in sub standard and often illegal accommodation. I have seen this for myself locally when I stayed over at a flat above a previous employers shop in neighbouring Southall. Getting up early in the morning, I viewed numerous people leaving what appeared to be extensions on the back of houses from my vantage point in the first floor flat and getting in to the back of white vans. When I asked my friend Hardeep the next day what was going on, he advised me that this is a regular occurence and that the people I had seen were going out to work on the building sites in the area. Many of these workers are not registered and paid ‘cash in hand’, thus avoiding tax and keeping their employers overheads down – Employers who can then undercut other firms who are tendering legitimately for the same work. This practice not only damages the economy, it also exploits the migrant workers who in many cases have come looking to better the lives of themselves and their families. This practice has also spread and created a situation in my own borough of Hillingdon where it is referred to as ‘beds in sheds’, a phenomenon that caused a local man to document information and pass it to me showing how planning has been abused to further the spread of this particular problem. The file has also been passed to one of the local MP’s and the council, who have claimed that they can’t track what is happening – A clear case of burying their heads in the sand on an issue that affects local communities, the environment, the employment market and also the wellbeing of those being abused in the labour market in this way. One of the areas where the effects of mass immigration in my locality are most keenly felt is in the availability of housing. When the Conservative government of the day brought in right to buy of the council housing stock, they made the fundamental mistake of not taking the money raised and re-investing in new stock for the next generation. This has now been compounded by open-door immigration – With Heathrow Airport in the borough, we are often on the front line of any new influx. The figures are pretty damning – The English Housing Survey as reported by Migrationwatch states that around 20% of all the social housing stock in London is occupied by foreign nationals. Another survey based around ONS statistics from 2008 that Migrationwatch published shows the percentage of population living in social housing broken down in to ethnic groupings – Whilst UK born residents are shown at 17%, our EU partners Portugal have a 40% rate of dependency on social housing in the survey, whilst Turkey (Whom Prime Minister David Cameron wants to join the EU) have a 49% dependency – Somali born residents are quoted at a massive 80%. That final figure is particularly relevant to us in Hillingdon as we have a fast growing Somali community, most notably in Hayes and the south of the borough. Unfortunately, as picked up on by The Mail last month, such surveys in the future may be meaningless as councils are increasingly leaving out the nationalities of those they place in social housing as it is ‘politically sensitive’. But enough of the statistics, which I have already stated earlier can be interpreted in many ways and are not always accurate – What of the reality on the ground, the real stories that affect people such as Rachel Bull? My own family has been moved around various accomodation in Hillingdon in the private rented sector. Because both my wife and myself work, we are not considered a priority for Hillingdon Council and because of the high price of property we can’t afford a mortgage. Saving up for a large deposit is definitely a no go as the private rents are increasing at such a rate that over half of our income goes just to pay rent before other bills are taken in to consideration. 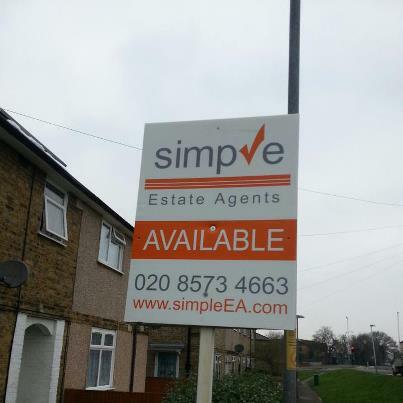 What is particularly galling is that many times we have been moved it has been down to the council needing property for their ‘category A on need’ clients and out-bidding us on our existing property. Before we met, my wife was moved out of a property in Hayes at the end of her lease as the landlord was being paid more by the council to take a Somalian family, I was evicted from Yeading to make way for Kosovan refugees and since we met and married we have been moved from Hayes End Drive to make way for an Asian family and from our last house as the landlord wanted to put foreign students in. This is not the fault of the immigrants, but of the ridiculous system that the council uses to allocate on ‘need’. A prime example that I have seen at first hand is the situation of one of my best friends. When his girlfriend became accidentally pregnant, they started to look for a property they could live in together. Despite his wages being insufficient for a mortgage, the council would do nothing. They were in emergency housing for TEN YEARS, whilst all around them migrants were coming on to the estate and being re-homed within months. When they finally got the permanent home they had waited for,it was in a sorry state and we all pitched in to help them renovate it. Living opposite them in a council property are a migrant family who my friend talks with. They have not worked since entering the UK, and the wife recently had their seventh child. The husband excitedly told my friend that the council are moving them soon as the house has become ‘too small’ for his growing family. They also have a late model people carrier sat on their drive that my firend, who works and pays tax, would struggle to afford! 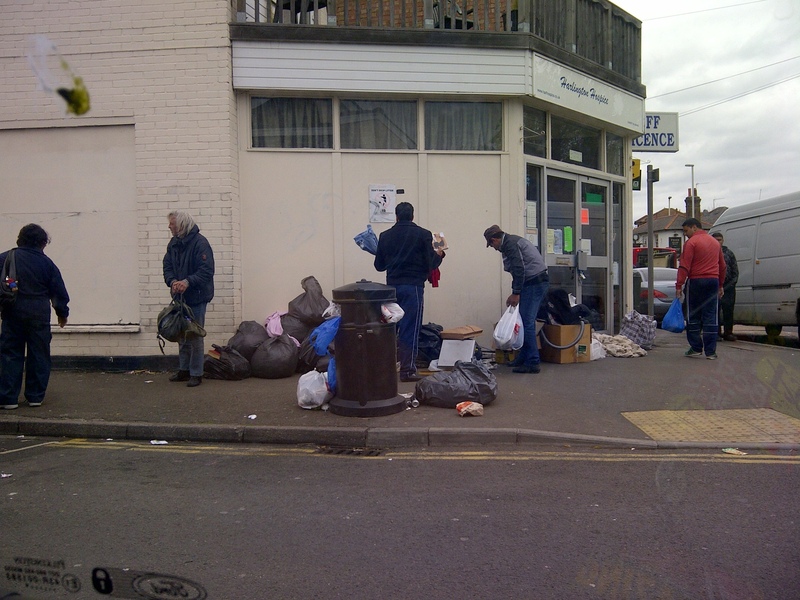 With the EU demanding that the borders are opened fully to Bulgarian and Romanian migrants from 1st January next year, this is a situation that can only get worse as housing availability dwindles and prices rise – Indeed, this has not only fuelled the ‘beds in sheds’ debacle but neighbouring Southall now has people sleeping rough in groups in parts of the town. I hope that Mary Beard now gets some idea of what ordinary people are seeing as their towns and cities are transformed from the communities we knew barely twenty years ago. Ultimately, nobody benefits from this in the long term – Locals are crowded out and see their standard of living drop, the migrants that work are frequently exploited and end up with a poor standard of life whilst as taxpayers we all see the amount we pay to both local and central government go up as a direct result of the pressures that have been laid out in this post. Until we leave the EU, regain control of our borders and introduce an Australian style points system that limits the numbers coming to those that our communities can absorb and with skills that benefit all, then the subject of mass uncontrolled immigration will continue to be a contentious issue at the top of the political agenda. More importantly, as numbers grow, it will be an issue that spreads to university towns such as Cambridge and, as Mary will find out, becomes a problem affecting us all.